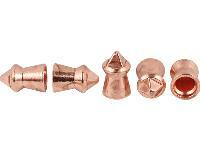 The uniquely shaped head (it's a pyramid) of the Gamo Luxor Cu .22-caliber hunting pellet shatters and cuts its target. Things I liked: Pellet to pellet, they are very consistent. What others should know: These did not produce very consistent shots from my trail np2. Very hard coating is very hard on rifling. Things I liked: Clean, accurate, very hard hitting (according to the squirrels formerly raiding my pecan trees). Chronograph reading varies only 4 FPS on 5 shot string using a Benjamin Trail NP. Things I would have changed: Lower price. 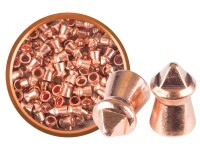 At $.16 per shot, they are priced equivalent to centerfire rifle bullets. What others should know: I recommend coating them with brass cartridge case lube spray (Hornady One Shot or Lyman Case Lube). Seems to improve accuracy and keeps the barrel clean longer. Things I liked: Decent accuracy out of a modified Walther Dominator (950fps w/14.5grain test pellets), I averaged about an inch to two and half, depending on wind(breeze), at thirty yards less a number of fliers. Like lead the alloy (copper coated tin alloy of some sort) is soft enough to deform when hitting a target, they did pancake in my steel pellet trap. As for being a hunting round, I still get pass throughs, but they deform slightly when hitting bone and are humane for vitals shots on small game. Despite the tip, pellet is small enough to fit a rotary magazine. Things I would have changed: A couple of things need to happen before I purchase these again. Definitely more pellets per tin. I understand supply and demand, paying for research, and so forth, but at 17 cents a shot I won't be purchasing any more until Gamo either lowers the price or they include more pellets per tin. 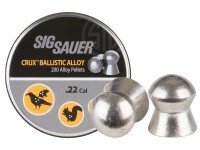 Two, for them to be confidently considered a true hunting pellet consistency between the pellets needs to be improved (at least for this price they should be near match grade) and/or increase the pellet weight 50%. 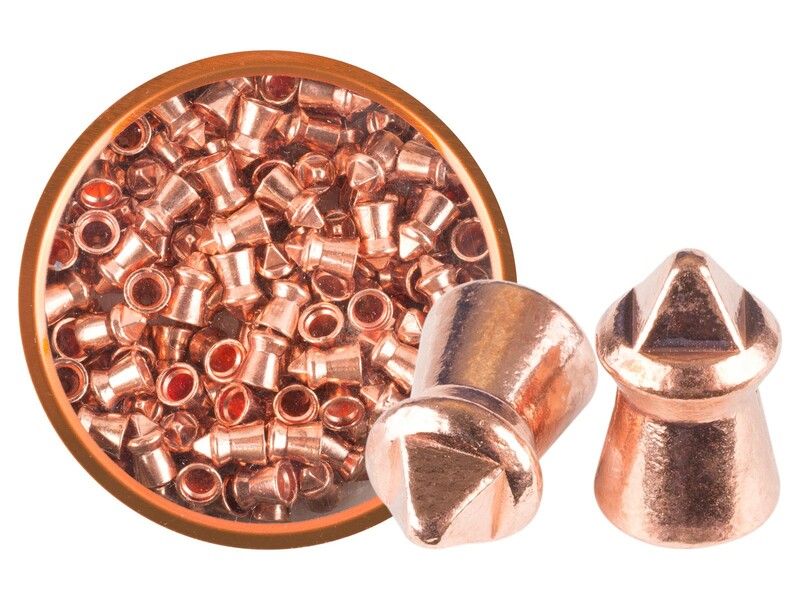 What others should know: If you shoot lead pellets, give your barrel a thorough cleaning and lube before using non-lead pellets, it really does make a world of difference. Larger rabbits and opossums require a head shot to be humane with these, but can be taken with a vitals in a pinch if you have enough velocity. 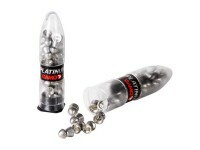 Getting said head shot consistently with these is another story. 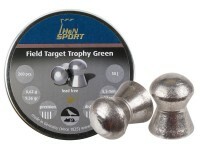 No where near cheap or consistent enough for practice or target shooting. I'll stick with my Beeman eco pellets for target and Dynamic XP2 pellets for hunting. I did have to reset my scope, taking about four shots to do so with a bag rest. However accuracy was spotty due to inconsistency between the pellets, so getting a true reliable zero was pretty elusive. Example, some would slide in with zero resistance, while others literally required a healthy push to seat inside the breech. Did you have to re-set your scope?, and how many rounds did it take you to do so?, At these prices you don't want to use more than a few rounds setting up your scope, If it takes you 10 rounds, that's 10% of your container gone in an instant. Cheer's, Andy. Will these rounds fit in to an AT-44 .22 magazine?? ?